Provide comfort for the family of Joseph Dolan with a meaningful gesture of sympathy. Joseph (Jubby) Edward Dolan of Greeley, CO passed away Thursday, March 7, 2019 at University of Colorado Hospital in Aurora, CO. He was born May 21, 1945 in Sterling, CO to Joseph and Maggie (Korrey) Dolan. Joe grew up on a family farm in Iliff, CO where they raised multiple crops over the years as well as livestock. He attended Iliff High School and graduated in 1963. Joe enjoyed playing sports, F.F.A., and raising and showing pigs. His true love during this time was bird hunting with his dog Penny. After high school he continued his education and earned an Associate of Science Degree from Northeastern Junior College (NJC) in Sterling, CO. He went on to Colorado State University where he earned his Bachelor of Science Degree in Zoology and a Master’s Degree in Acarology. He earned his Doctorate of Science Degree in Biological Science at the University of Northern Colorado (UNC). Joe started dating Sandy Kaufman while she was a senior at Iliff High School and he was a freshman at NJC. They were married June 18th, 1967 at Peace Lutheran Church in Sterling. Before his passing, Joe told Sandy the happiest day of his life was when they left the church as a married couple because he knew she was finally his. They shared nearly 52 years together. Joe enjoyed a thirty year career at Central Wyoming College (CWC) in Riverton, WY. His greatest joy was teaching. Joe loved to get up early and lift weights before work, but the thing he loved most was his job. Joe taught anatomy and physiology at CWC, acarology at UNC, and biochemistry and pathophysiology at the University of Wyoming. During his time at CWC, he started numerous degree programs including nursing, physical therapy, and surgical technician. He wrote and was awarded numerous grants for both CWC and the nearby Shoshone and Arapahoe Indian tribes of the Wind River Indian Reservation. Before his retirement, Joe was instrumental in developing and implementing a Microsoft Certified Professional program at CWC - the first of its kind. He went on to serve as Division Chair and Dean of Academic Services/Vice President. In May 2000, he received the distinguished Professor Emeritus award. Joe retired from teaching in 1999 after being diagnosed with idiopathic cardiomyopathy and eventully received a HeartMate 3 Left Ventricular Assist Device (LVAD) on February 3, 2016 as part of a trial study. The LVAD afforded Joe three more years that he spent enjoying his family, attending his grandchildren’s activities, golfing, gardening, cooking and painting. His passion for panting was evident in the many pieces he shared with friends and family. He earned many awards and acknowledgements as an accomplished artist. Joe was a brilliant man and had a thirst for knowledge. His son remembers him as one of the smartest people he’s ever known-his breadth of knowledge was incredible. Joe had a way of talking to and teaching you without you ever knowing, which was truly a gift. Although he eventually struggled with his health, he chose to focus on the needs of others. Joe will be remembered as humble, intelligent, loving, affirming, and inspiring. He will be greatly missed by his family and everyone who knew him. Joe is survived by his wife Sandy Dolan of Greeley, son Marc Dolan and LaRaye of Wellington, CO, daughter Michelle Rossman and husband Erin of Cheyenne, WY, grandchildren Easton and Luke Dolan, and Maggie and Grant Rossman, sister Mary Goff and husband Gordon of Fleming, CO, and extended family and friends. A celebration of Joe’s life will be held at 2:00 pm Friday, March 15, 2019 at Christ Community Church, 1301 15th St, Greeley, CO 80634. Memorial contributions may be made in Joe’s name to University of Colorado Hospital LVAD Patient Fund in care of Adamson Funeral Home, 2000 47th Avenue, Greeley, CO 80634. You can share memories and condolences with Joe’s family at AdamsonCares.com. 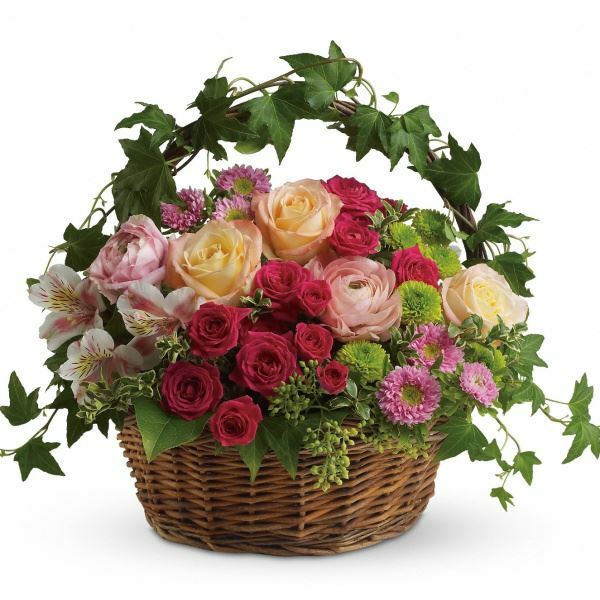 Provide comfort for the family of Joseph Edward Dolan by sending flowers. Heartfelt Sympathies Store purchased flowers for the family of Joseph Dolan. I can't begin to tell you what a pleasure it has been to work with Joe's family in preparation for his upcoming Life Celebration. I believe the best funerals are the ones that inspire us to be better than we are and challenge us to make every day count. I am confident that every one who attends Joe's service will be inspired and challenged... because that's what great teachers do!